The rain set early in to-night, The sullen wind was soon awake, It tore the elm-tops down for spite, And did its worst to vex the lake: I listened with heart fit to break. Siren Song This is the one song everyone would like to learn: the song that is irresistible: the song that forces men to leap overboard in squadrons even though they see beached skulls the song nobody knows because anyone who heard it is dead, and the others can’t remember. The practice of producing plays on the public stage for the benefit of CXC study is back. Link Show 31 continues its historical run as the most significant achievement in Guyanese theatre. The annual Republic of Guyana Distinguished Lecture Series, established in 2011, continued last week with a lecture that provided, as has been the intention, an opportunity for intellectual engagement with concepts that define Guyana as a nation as a part of the celebration of Mashramani and the anniversary of Republicanism. Naya Zamana 19: A Royal Twist presented two weeks ago as a repeat performance by the Guyana Hindu Dharmic Sabha is worth revisiting. ‘It is universally acknowledged’ that good creative writers do not write for prizes. 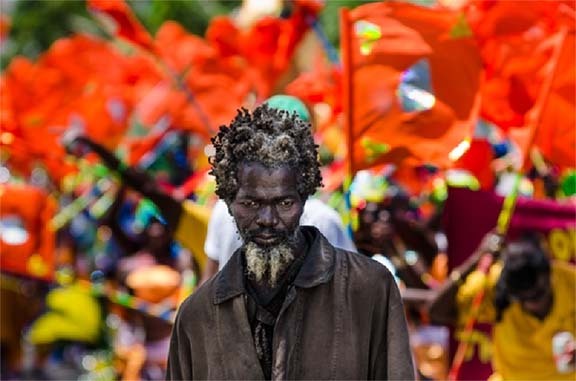 The relationship between the carnival season in the Caribbean and Guyana’s Mashramani is very easily disguised. (Alim A Hosein is Dean of Education and Humanities at the University of Guyana; a linguist, artist, literary and art critic; Convenor of the Guyana Visual Arts Competition and Exhibition; Member of the Management Committee of the Guyana Prize for Literature) By Alim Hosein A book of artwork titled Panorama – A Portrait of Guyana was launched at Cara Lodge on Monday January 12. A theatrical performance with two plays is to be staged at the National Cultural Centre on Saturday, January 17. By Alim Hosein Alim A. Hosein is Dean of Education and Humanities at the University of Guyana; a linguist, literary and art critic, artist, member of the Management Committee of the Guyana Prize for Literature and Coordinator of the Guyana Visual Arts Competition and Exhibition (GVACE) The Awards ceremony held on December 17 at the National Cultural Centre brought an end to the public events in the 2014 Guyana Visual Arts Competition and Exhibition. Sonnet 123 No. Time, thou shalt not boast that I do change Thy pyramids built up with newer might To me are nothing novel, nothing strange; They are but dressings of a former sight. Caribbean History A flower falls on a leaf, the forest sleeps, and waves are on holiday El Dorado sings of love as Columbus listens in a plastic boat. This Tuesday December 16, 2014 is the 105th birthday of Edgar Austin Mittelholzer (1909-65), standard-bearer for Guyanese and West Indian literature. The staging of the production Expressions 2 by GEMS Theatre Produc-tions directed by Gem Madhoo-Nascimento at the Theatre Guild Playhouse on November 9 drew attention to a number of factors arising from the current range of dramatic and poetic performance in Guyana at present. The audience for theatre in Guyana exhibits certain characteristics and behaviours defined by history, colonialism, slavery, culture and tradition. The performance of Hamlet by the Shakespeare’s Globe Theatre Company in Guyana was historic and significant for a number of reasons. Guyana’s fourth annual National Drama Festival closed last week after the performance of 27 plays in five categories. We shouted out ‘We’ve got her! Here she is! It’s her all right’. The Republic of Guyana’s annual National Drama Festival (NDF) will take to the stage of the National Cultural Centre for the fourth time starting this Tuesday and running from October 14-22. Last week we paid attention to some elements of the power of the Amerindian presence in Guyanese culture. The Umana Yana, ironically destroyed by fire during Guyana’s celebration of Amerindian Heritage Month, was a major visible symbol of Amerindian culture in the city. One of the most striking events of the past two weeks was the demolition by fire of the Umana Yana in Georgetown on the afternoon of Tuesday September 9. This week, on Thursday, September 18, four schools, all tertiary colleges specialising in the creative arts disciplines in Guyana, will hold their 2014 Convocation ceremony at the National Cultural Centre. Naya Zamana 19: The Royal Twist, directed and choreographed by Vindhya Persaud, continued the established practice of annual full dance productions by companies in Guyana with an emphatic statement. A nation’s art, its literature, music, theatre and dance traditions all arise from, are influenced and shaped by its culture. Autobiography will come in various forms, often in varying degrees of factual information and different postures of pretence. Popular songs are normally ephemeral. They are generally like fashion – here today and gone tomorrow despite their impact and success during the time that they command popular acclaim. One of the most powerful poems by Trinidad and Tobago’s controversial poet Eric Roach is one called ‘Verse in August.’ Roach, a fairly minor poet in the hierarchy of West Indian writers raises interest and controversy because of the contradictory state of his politics as expressed in his poetry, drama and criticism. The Enchanted Caribbean is one of the annual productions of the National Dance Company. We are reminded that The Tides of Susan-burg by distinguished Guyanese dramatist Francis Quamina Farrier is a history-making drama. We have on many occasions commented on the very strong and noble tradition of comic theatre in the Caribbean with insights into its history. One of the very important plays in the post-Independence literature of Guyana is being shown at the Theatre Guild Playhouse this weekend. This morning is new, but the sun that made it is old. New and Old is the face of the world’s great grief A green leaf on the branch of a tree fingers our time’s disgraceful space. Alim Hosein is an artist, a linguist, a literary and art critic. 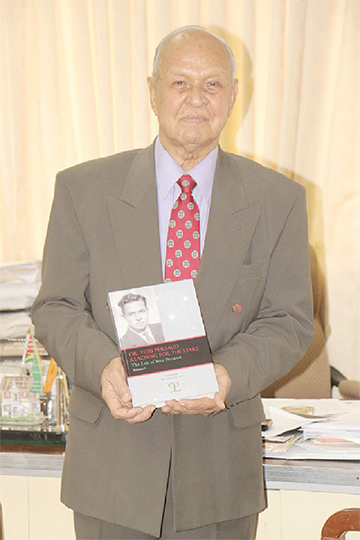 He is Dean of the School of Education and Humanities at the University of Guyana; Chairman of the GVACE Committee and a member of the Guyana Prize for Literature Management Committee. For most persons around the world the internationally popular musical form reggae began with Bob Marley. 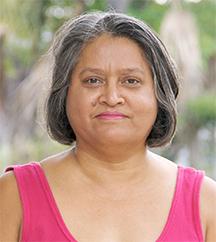 Guyanese literature is multifaceted and, not surprising for any national literature, it becomes very difficult to generalise or reach pat conclusions about it. – Guyana plays catch up with Caricom neighbours Formal training in the performing arts is developing in Guyana, and indeed around the Caribbean. – dance production retains colour, spectacleThe performance of Nrityageet 35 last weekend to mark Guyana’s celebration of Arrival Day on May 5 will have to be highly commended. Horizon Arts Production is a theatre company that was recently founded and has cemented its place on the Guyanese stage in the past four years. A new play by Janice Imhoff, The Eleventh Finger, was recently produced by SENOJ directed by Collette Jones-Chin and performed at the Impeccable Banquet Hall. Easter is a religious festival that exhibits the regular characteristics of the large festivals of its type. A number of very important works of literature in the Caribbean that might have been out of print became available in Klaus Reprint, and were republished in Germany in 1970. In Guyana the best celebration of the performing arts in schools is seen in Mashramani where schools of all levels from all parts of the country exhibit untypical exuberance and keen rivalry. It is always interesting to study traditional festivals, their place in a society and how they are continually affected by time and geography. Birdshooting Season Birdshooting season the men make marriages with their guns My father’s house turns macho as from far the hunters gather All night long contentless women stir their brews: hot coffee chocolata, cerassie wrap pone and tie-leaf for tomorrow’s sport.